Hover over the map to see who’s in your Commonwealth family. 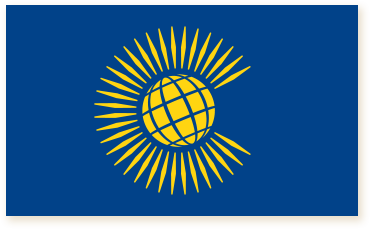 This is the flag of our Commonwealth. The globe at its centre tells you that countries from all over the world are part of our family. Around this are shapes that make a ‘C’. This represents all the different ways we work together and help each other. Do you know what your country’s flag means? 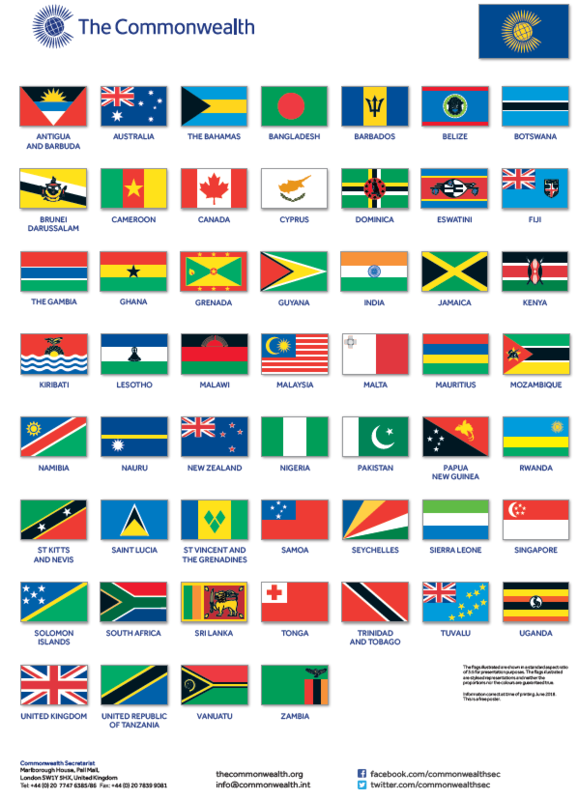 Here are some other flags from Commonwealth countries. Can you recognise any of them? Take a look and see how many you know – to help you here is a list of the countries whose flag is below.  To show you just how different we all are, we have picked a few ways to compare our countries. 1. 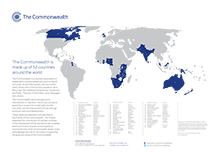 Which Commonwealth country has the most people? 2. Which Commonwealth country is the most crowded? 3. 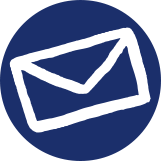 Which Commonwealth country has the youngest population? 4. Which Commonwealth country lives the longest? 5. 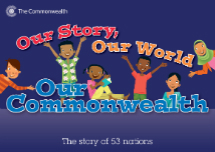 Which Commonwealth country's children are most likely to go to primary school? 6. Which Commonwealth country has more girls than boys in their secondary schools? 7. Which Commonwealth country has the most people using the internet? 8. Which Commonwealth country makes the most CO2 emissions compared to its population? 9. Which Commonwealth country has the highest average income?